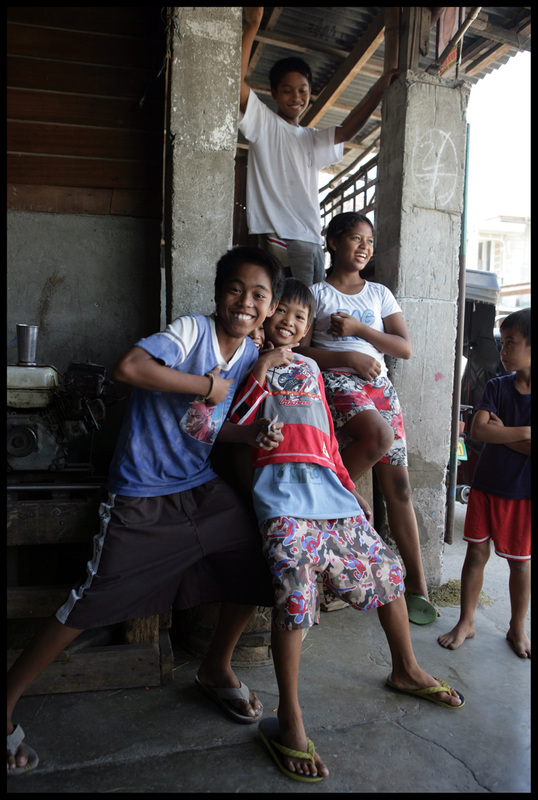 What does it take to make a kid happy? 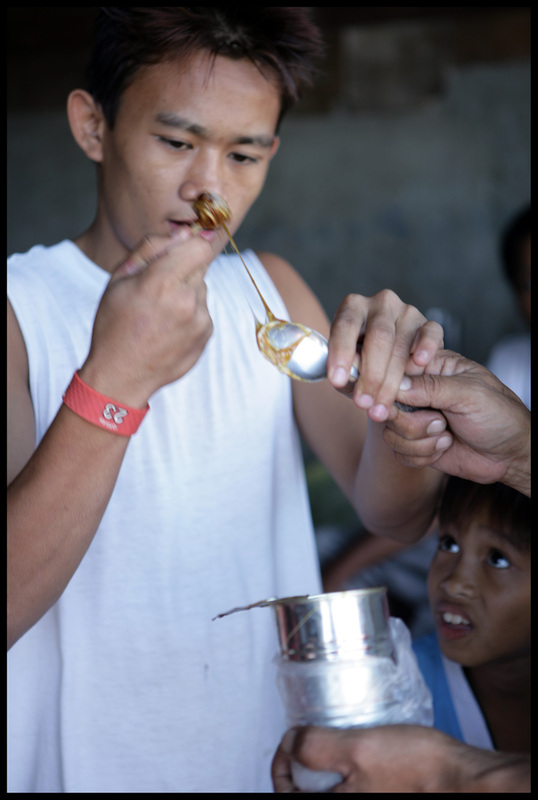 In a rural Philippine barangay, a can of molasses and a wooden stick. Of course. 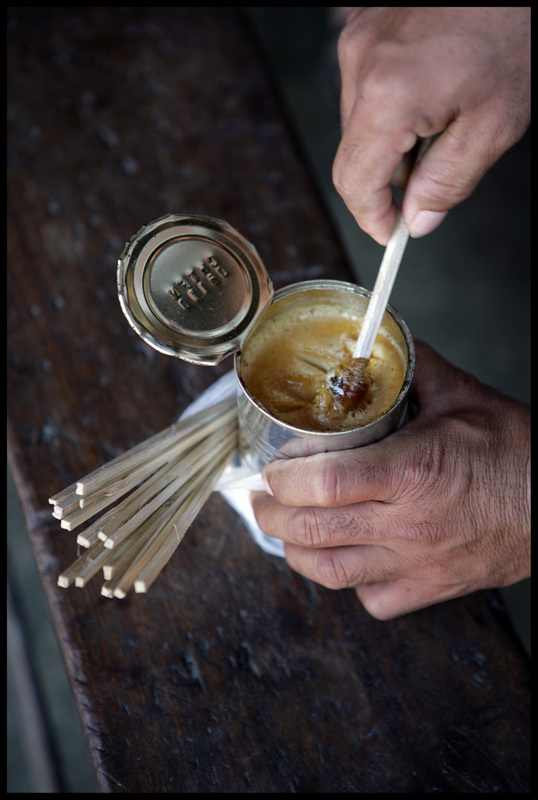 The Philippines is awash in cane sugar. 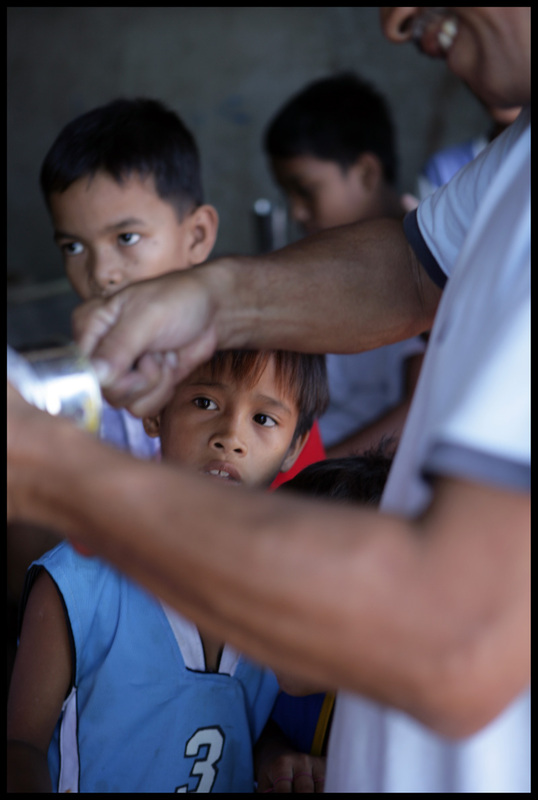 She procures a can of inuyat (molasses in Pampango) from a sari-sari (a tiny store selling everything) down the road - and what had been a gaggle of pint-sized observers suddenly swells to a crowd. There's an art to making your own molasses sucker. 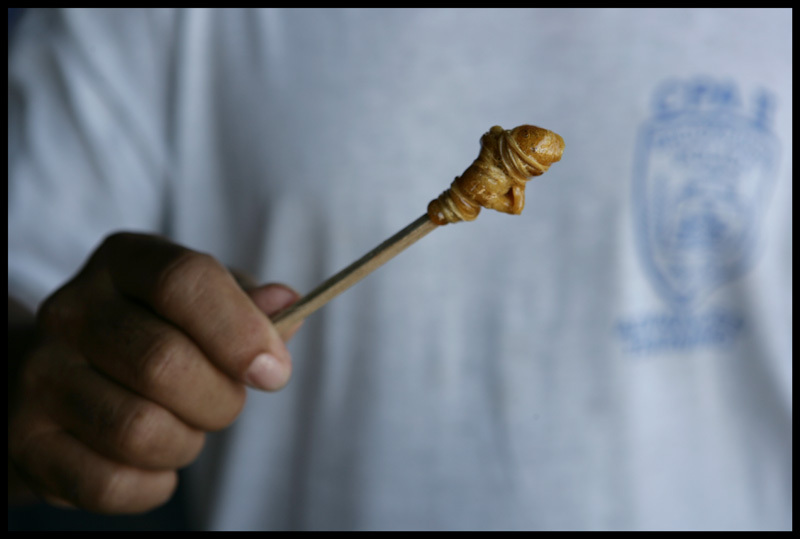 The stuff is thick and sticky, difficult to stir and twirl around a stick. Patience, and just the right amount of elbow grease, are rewarded with a portable sweet-smoky treat. Still, not a few sticks are broken in the process. Someone rustles up a spoon, and service quickens a bit. 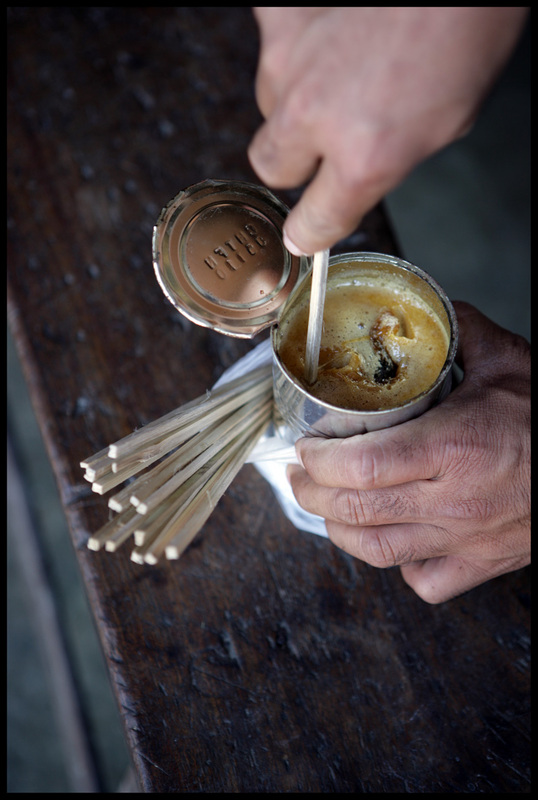 The can is passed from adult hand to adult hand. Everyone has their own technique. No mob behavior here. Just silent anticipation. Once the can is emptied pent-up energy animates the air. 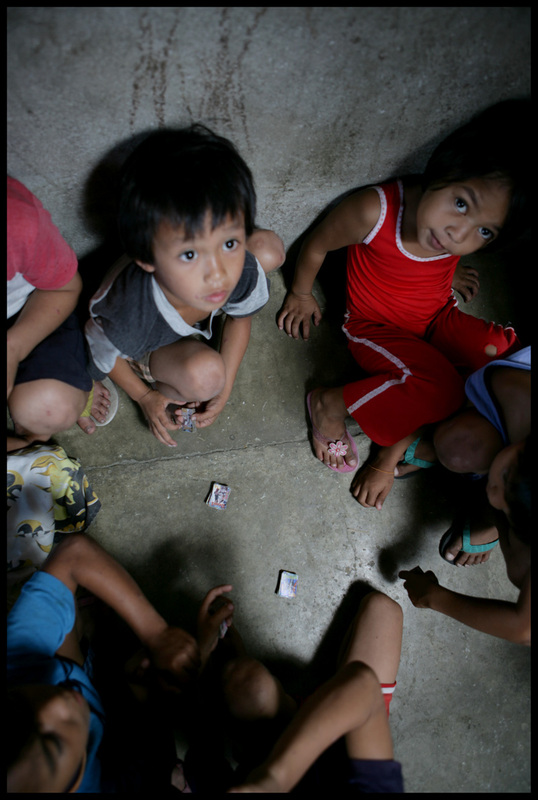 A fast and furious game of picture cards coalesces in a corner. 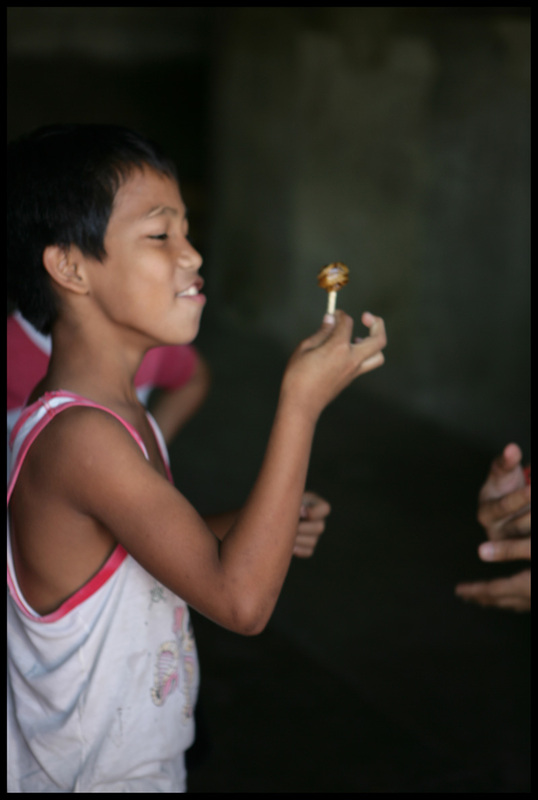 Elsewhere, sugar highs are worked off in a frenzy of leaps and flailing limbs, high-pitched yelps, and ear-to-ear grins. Here, now, happiness is a can of molasses. We're on the road, but will be back to regular posting soon. In the meantime, Happy Holidays! 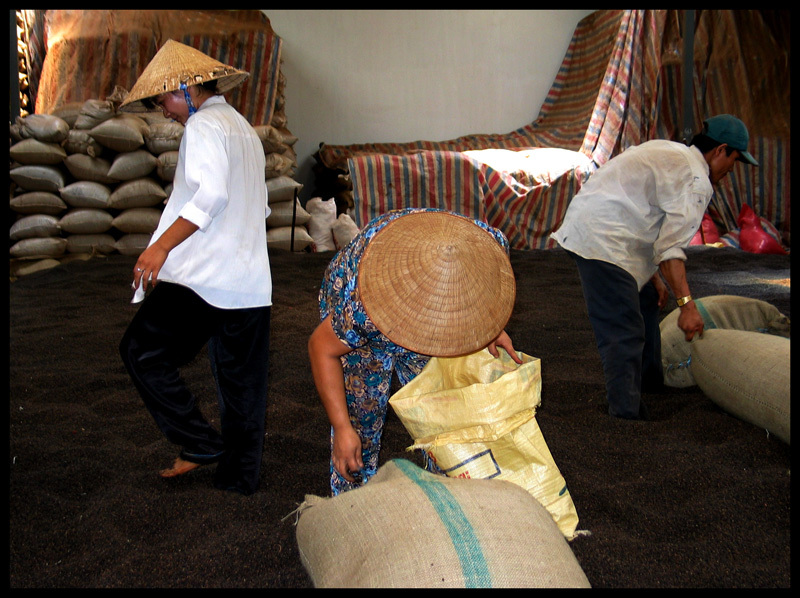 A few days before we left for Saigon, I poured the last of the 5 pounds of Vietnamese black pepper that had moved with us to Malaysia in 2005 into our pepper grinder. Did we return to Saigon just to restore our stock of Vietnamese pepper? I wouldn't say that, exactly. We knew we'd go before the end of the year. As October passed and our stash shrank, well ... it just seemed like a good time to make plane reservations. 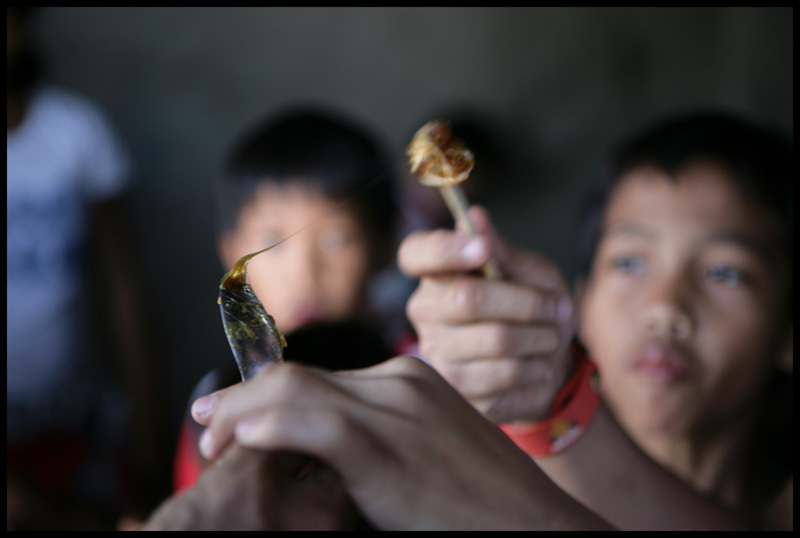 Vietnam isn't the country that comes to mind when gourmets start talking black pepper. It's all Tellicherry this and Sarawak that; if a pepper-loving foodie really wants to impress her cohort she might proclaim an allegiance to Ecuadorian prganic Ecuadorian black pepper. 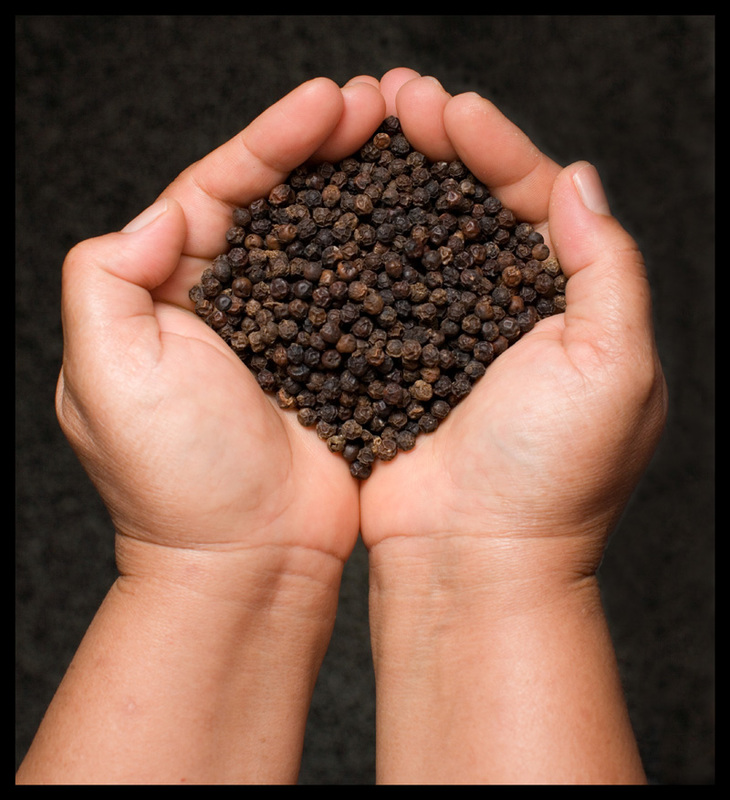 Vietnam is the world's largest black pepper producer, and the spice is a key component of the cuisine. While Vietnamese food isn't as overtly chile-hot as Thai food, many dishes have a nice kick thanks to this Vietnamese black gold. A quick Google search turned up no mail-order sources for this peppercorn that, in my opinion, is the equivalent of any other 'gourmet' varieties. If you happen to be in Vietnam you can buy it by the kilo for a steal. What follows is an extremely quick, tasty recipe that highlights black pepper's uniquely complex heat. If Vietnamese isn't within your reach, use whatever is. Just make sure that it's very fresh (ie. 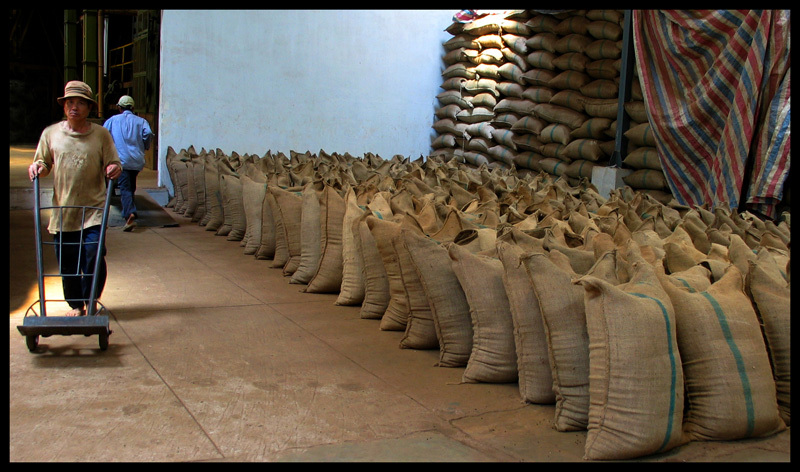 still fragrant; a good whiff should make you want to sneeze), and freshly ground. 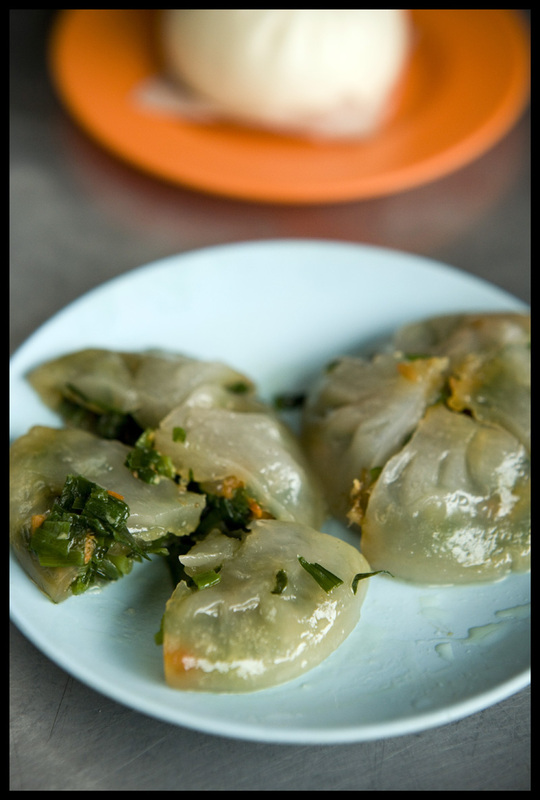 We ate this street snack on a grey, misty winter morning in Hanoi. At 630am on a Sunday the city's streets were strangely quiet. About 4 blocks from the lake we came across a granny tucked under the overhang of an office building. Seated on a tiny stool, she was making omelets, emerald green with chopped herbs, in a small pan over a single burner. We ordered one and marveled at its simplicity and brightness. The dipping sauce - a combination of salt, lots of fragrant black pepper, and kalamansi juice - added zip and beautifully complemented the fresh taste of the herbs. Any combination of Asian-ish herbs works here, the more the merrier - just be sure not to go too heavy on the strongest-flavored herbs. This morning my omelet included Thai basil, mint, Vietnamese coriander (polygonum/laksa leaf), perilla, cilantro, and sorrel (caution: too much sorrel and your omelet will be more gray than green). You might also use wild pepper leaves, or a bit of dill. Arugala would be a nice, albeit inauthentic, addition. A few chives or one scallion chopped with the greens are possibilities, but don't use enough to overpower the herbs. Don't be alarmed at the amount of minced herbs in this dish - the egg really shouldn't be much more than a binder. 1. In a small saucer mix (for each person) a pinch of salt, a few generous grinds of pepper, and kalamansi juice (2-3 halves, depending on the size of the fruit) or lime juice (1/2 a juicy lime). Mix lightly - it's not necessary to dissolve the salt. 2. Beat the eggs to thoroughly combine. Stir in the herbs. 3. Place a (preferably non-stick) skillet over medium heat. Add a dribble of oil and then wipe it around with a paper towel to remove the excess. 4. Add the eggs and cook slowly, covered, to allow them to set. Once the top no longer jiggles slide the omelet onto a plate and then turn the plate over into the skillet, to cook the other side. Avoid browning the omelet, if you can. Sunday in Penang, and we're out the door at first light. An old market on Carnavon Street - and, most alluringly, the non-permanent stalls that line the lane just outside its main entrance - beckons, but the murky clouds overhead aren't cooperating. Moments after we arrive - plop! plop! plop! Big, fat drops that portend a long, soaking shower. And, as usual, we're umbrella-less. Luckily, Georgetown's streets hold no shortage of spots to ride out a storm. We look right: one coffee shop on the corner, another halfway down the block. And then left: two coffeeshops within a stone's throw of each other. 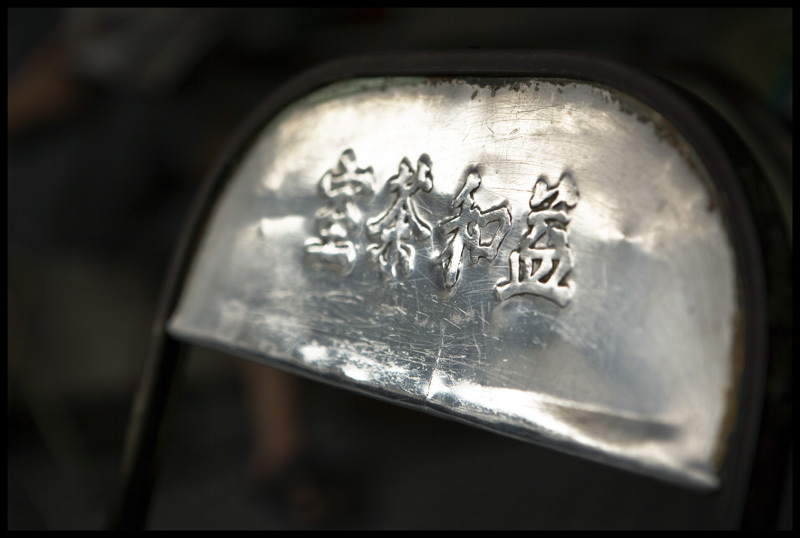 I like the look of the big bamboo steamers flying out of the kitchen at Aik Hoe (just across the street from Lucy Perm Parlour); Dave admires the shop's chairs, well-worn backs embossed with the restaurant's name in Chinese characters. Envisioning a breakfast of assam laksa and naively hopeful that the rain slicking the pavement just beyond our front-of-the-shop table will let up, we limit ourselves to cups of thick kopi. Then the steamer trays, holding all manner of dim sum delights, start making their rounds. We shake our heads once, twice ... and then surrender at the third pass. We're suckers for dim sum - especially dim sum served this way, the old-fashioned way: from carts rolled or trays carried table to table. The glorious bounty of these steamer trays delights and confounds; choosing is exquisite torture, albeit one that we willingly invite pass after pass. After one trip around the shop trays return to the kitchen, contents depleted. A good sign. This isn't delicate, high-end artistry dim sum, but traditional Chinese coffeeshop-style dim sum: inexpensive, hearty, and filling. It's the sort of dim sum served in a place like Aik Hoe, with its ceiling fans up top and tiles under foot, an ancestor shrine in the back, three generations running the floor, and a cast of crusty regulars anchoring the tables. 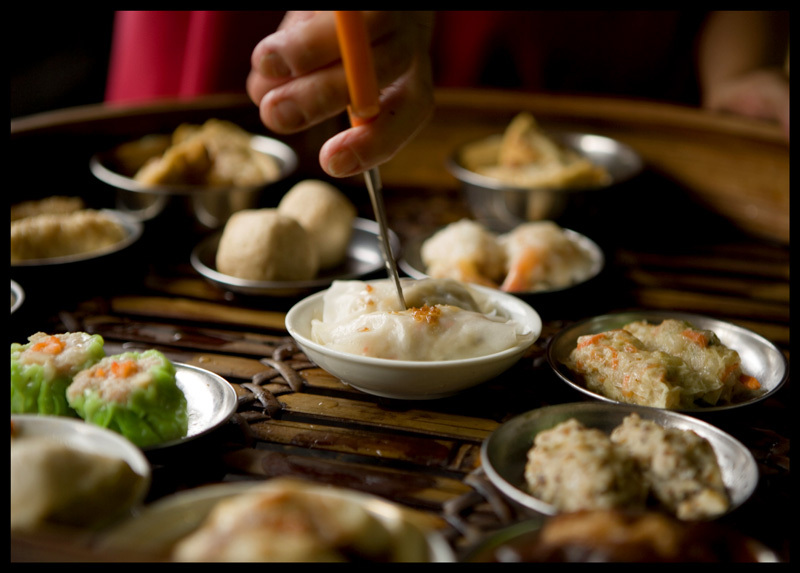 It's not dim sum to dress up for or to be ooohed and aaahhhed over, but dim sum to be eaten in shorts and flip-flops, savored quietly with a pot of tea (or a cup of coffee) and the morning paper, or shared amidst the chatter of friends or family. This is dim sum to wake up with. Dim sum for a lazy morning. 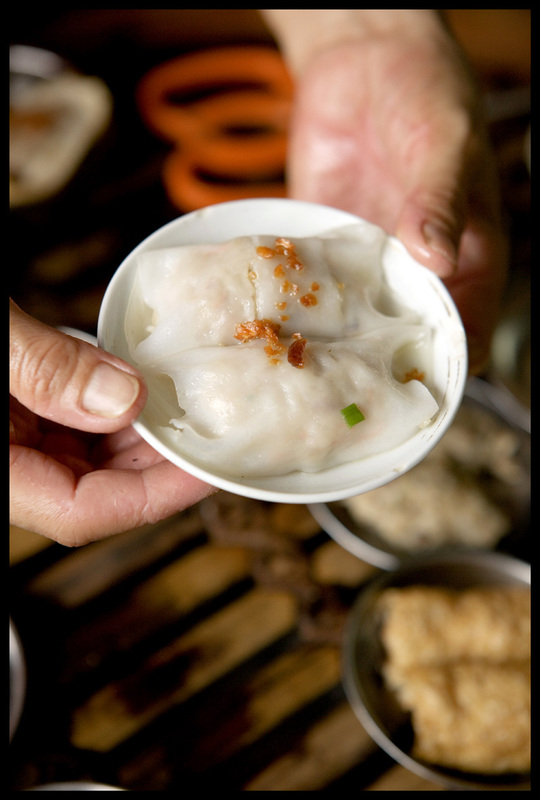 We settle on rice rolls filled with a gingery mince of fresh fish, and flat, thick-wrappered rice flour dumplings filled with Chinese chives and pork. The dumplings, righteously light on meat and heavy on garlicky greens, promise bad breath for at least the next 4 hours. Aik Hoe's congee is popular and, once we've seen how it's served - from a tray holding ceramic pots of shredded ginger, fried garlic in oil, chopped scallion greens, and a shaker of ground white pepper, all to add according to preference - there's no question but that we'll place an order. Thirty minutes pass, then thirty minutes more, and the pile of empty saucers on our table grows. It's approaching mid-morning on our last day in Penang, and we've yet to get our market fix. 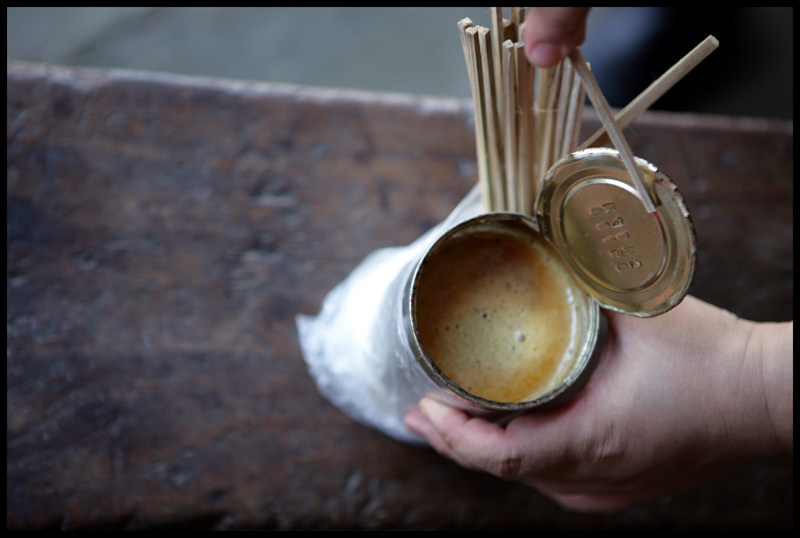 But for now, as we contemplate a second cup of coffee and keep eyes peeled for the next bamboo tray, Aik Hoe seems like a pretty nice place to be. Aik Hoe Restaurant, Carnavon Street (first block off Chulia Street), Georgetown, Penang. We're flattered to have been nominated for a Well Fed Network Food Blog Award, again, this year. The category is Best Food Blog (City). 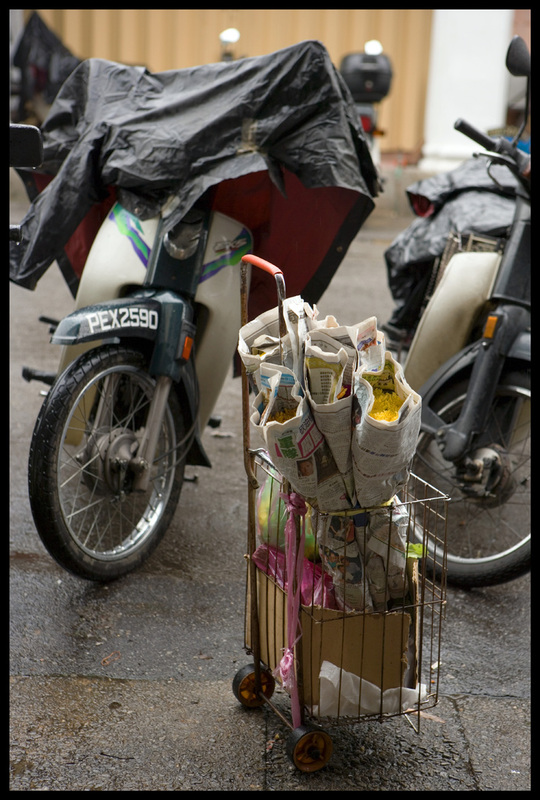 We actually blog a region, but Kuala Lumpur is our home and, to date, the subject of the majority of our posts. Sincere thanks to the Well Fed judges. If you've enjoyed our Kuala Lumpur posts hop on over to Well-Fed Network's site and clickety-click to vote for us. If you're new to the blog, have a look at a few of our favorite Kuala Lumpur posts: this one, this one, this one , this one, and this one. 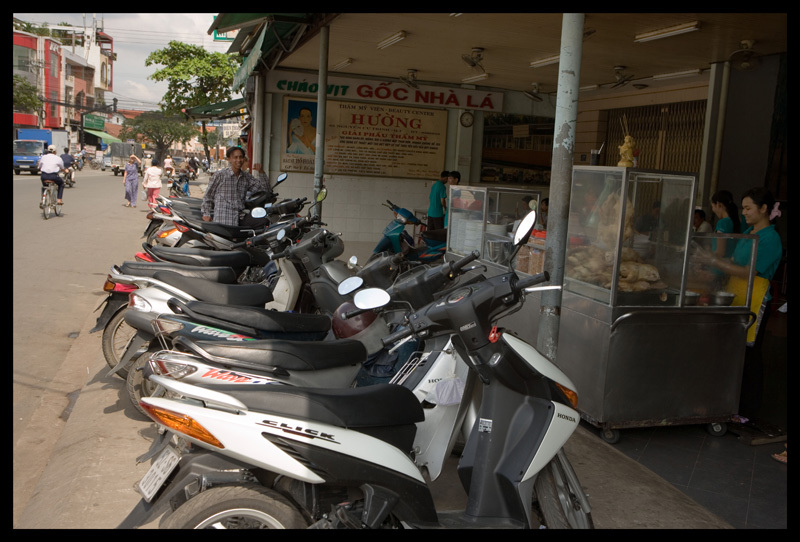 We get around a bit, and we've blogged other urban centers of Southeast Asia as well, including Manila, Bangkok, Padang (Sumatra, Indonesia), and, lately, a whole lot of Saigon (aka Ho Chi Minh City). 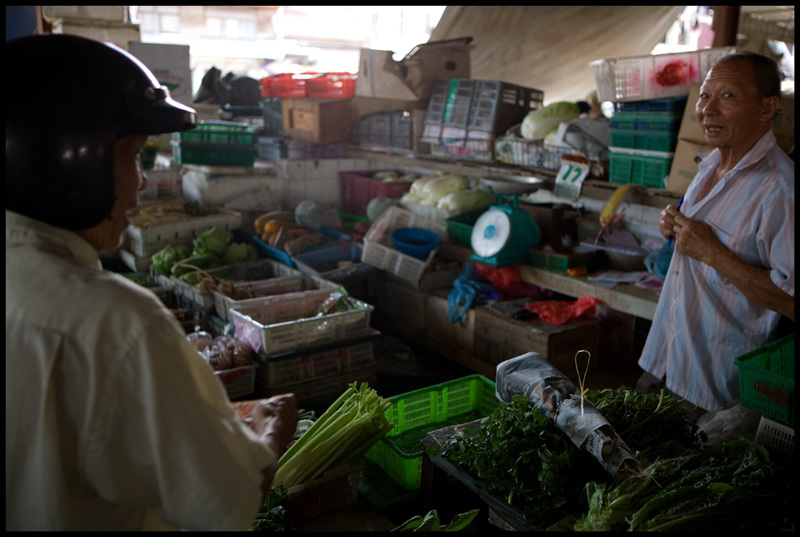 In Bidor for a spot of duck noodle soup, we decide to investigate the town's market. Small though it is, this market's a good one, because in its aisles can be found new-to-us ingredients. 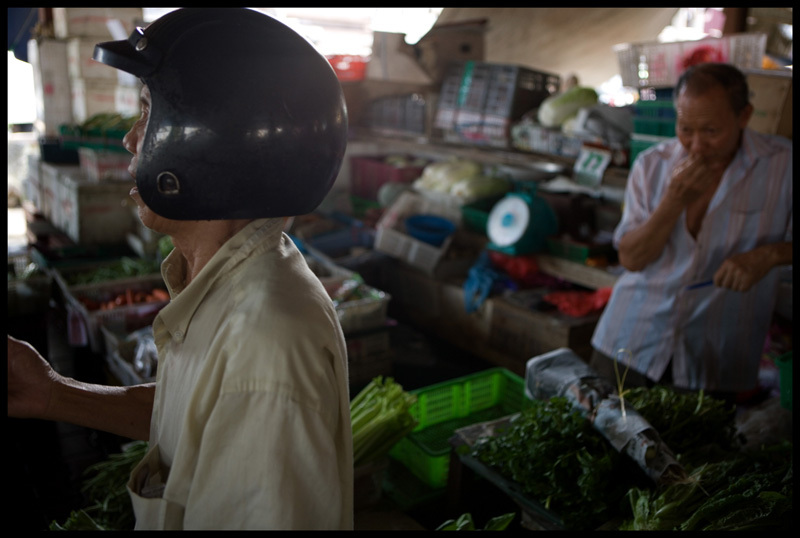 Like this wild vegetable sold by each of two elderly Chinese ladies who've staked out squares of market floor directly across from each other. They call it - as near as we can understand - kong ji xin, and tell us it's added to curries. 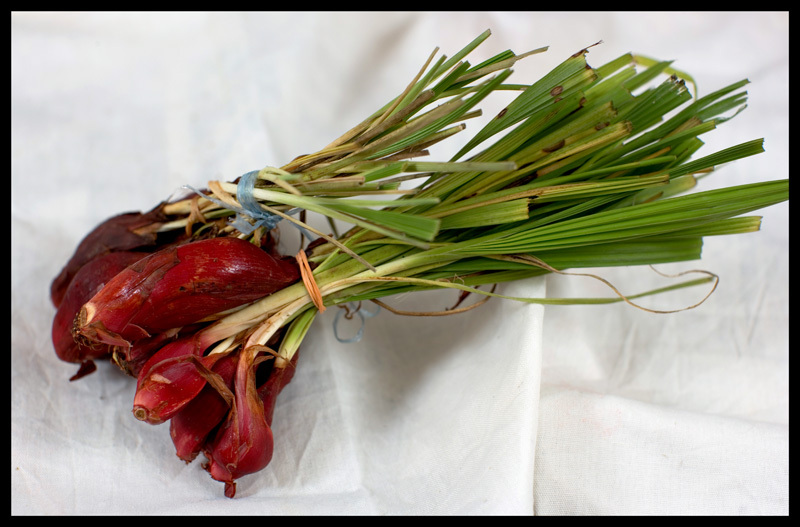 The stiff green leaves remind us of lemongrass, as do the concentric layers of woody flesh revealed when one of the scarlet bulbs is sliced open crosswise. On the tongue, there's astringency reminiscent of torch ginger flower plus a bitter punch that brings to mind arugala gone to seed. 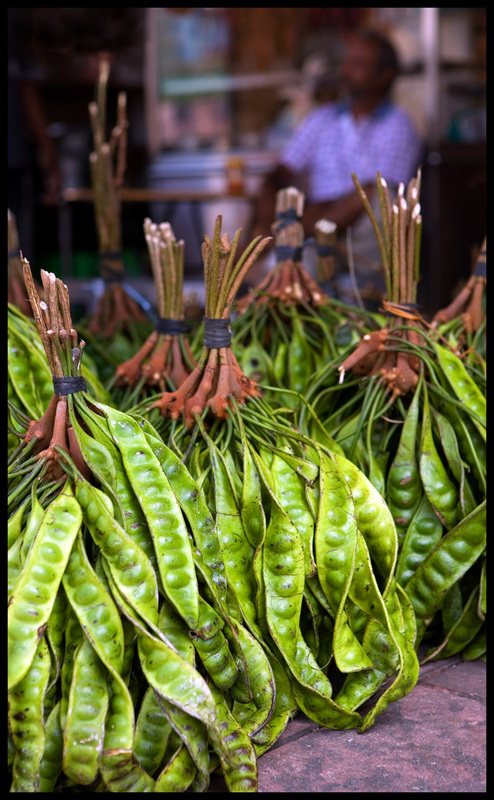 It seems more a Malay than a Chinese ingredient, but none of the market's Malay vendors know its name. This morning the market holds other treasures too. 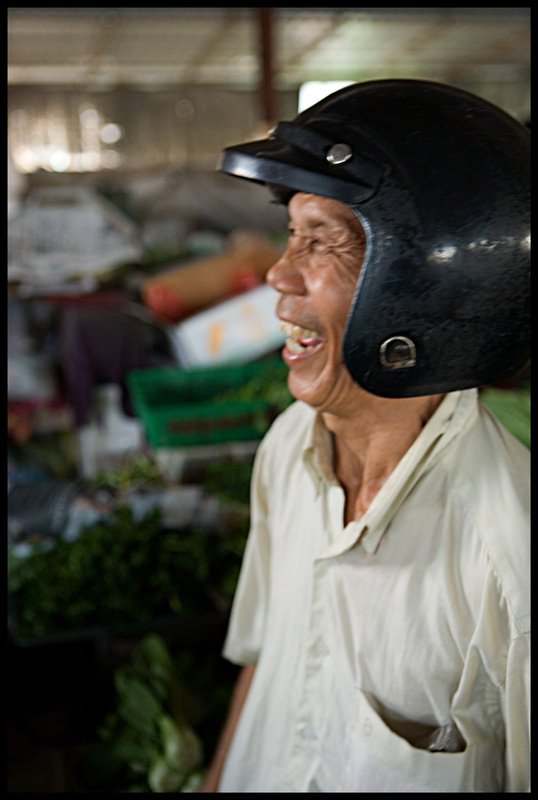 We stop at a stall to inspect a particularly enticing bundle of paku and end up chatting with a motorcycle-helmeted customer. Where're you from? he asks, and we go through the usual sequence of answers and follow-up questions: we're from America (say 'US' and most people don't know what you're talking about - in Asia, the United States is 'America') but we live in Kuala Lumpur we've been here a little over two years how do we like Malaysia? well we love it. I like American music, he says. I play trombone. My brother-in-law, he's from the Philippines but he's dead now, he played saxaphone. We had a band, played in Kuala Lumpur. Long, long time ago. Do you know 'Blue Moon'? He brings one hand - the hand not burdened by a bulging bag of vegetables - up in front of his face, cradling a trombone only he can see. And begins to play, moving his fingers up and down, manipulating the keys. Softly half-huming, half-dah dah dahing 'Blue Moon', he hits every note pitch perfect. He's on stage with his Filipino brother-in-law, in a smoky club in mid-twentieth century Kuala Lumpur. He draws out the end of the song long and sweet. Wonderful!! we say. And mean it. He's a little bit nutty, the vendor seems to want to tell us. We're not so sure. OK, gotta go! he says. Nice to meet you. And walks, purposefully, out to his motorbike. We'll be looking for him, next time we're in Bidor. 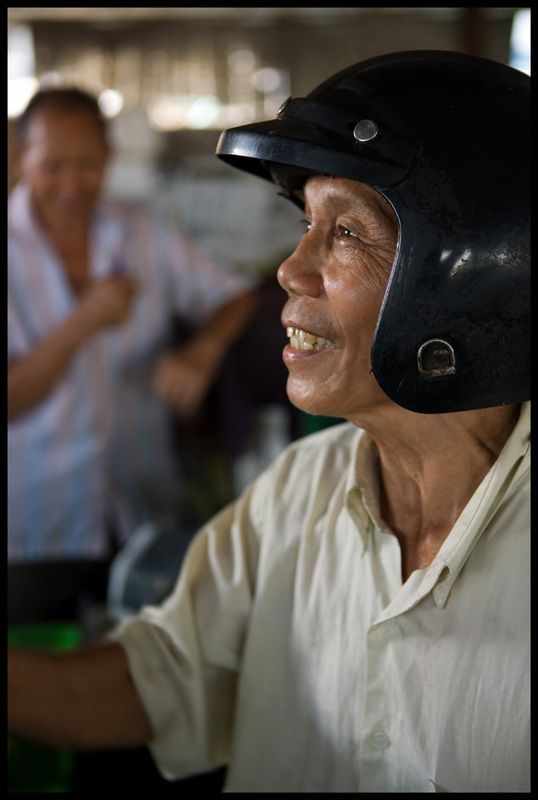 Saigon is not the most cordial city in the world. It's a little rough-and-tumble, a bit jagged-edged, pretty aggressive. Energetic, exciting, adrenaline-pumping - yes. Warm and gooey? Not exactly, and especially not when compared with the larger cities of its Southeast Asian neighbors. When you're a resident, the place starts to wear on you a bit. 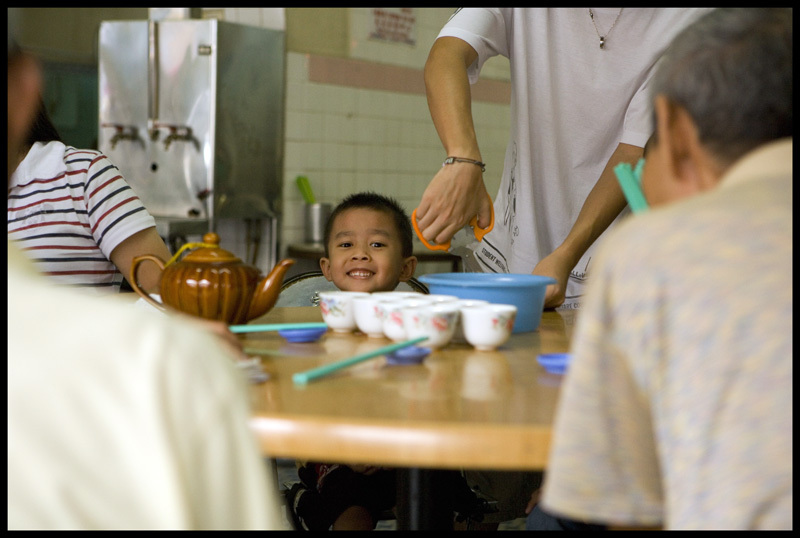 Hong Hanh was our Saigon oasis of niceness. 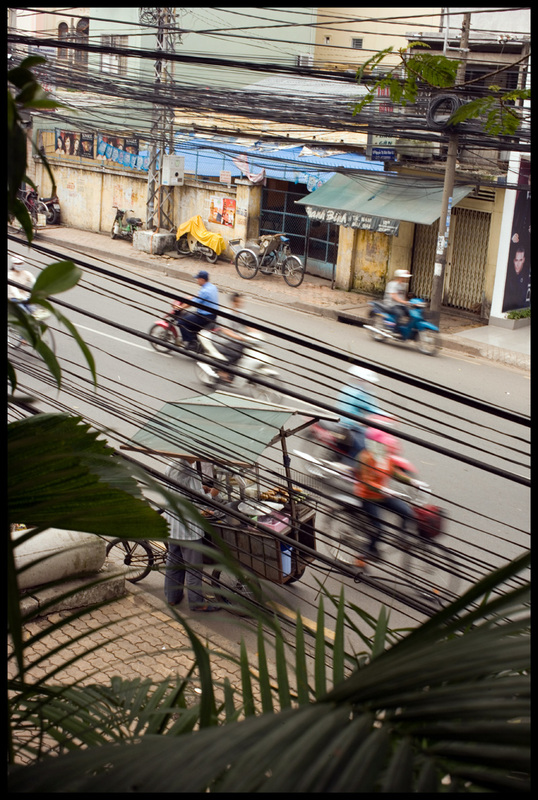 From our first appearance at the top of the precariously steep and narrow flight of stairs that lead to Hong Hanh's second-floor perch we were never made to feel anything but welcome. We didn't speak a word of Vietnamese (shame on us, but that's the way it was) and no one at Hong Hanh spoke a word of English, but we weren't brushed off as the pain-in-the-arse foreigners, ushered to a corner table and then ignored for the duration of our stay. We were treated like every other customer: efficiently, affably, and with lots of smiles. 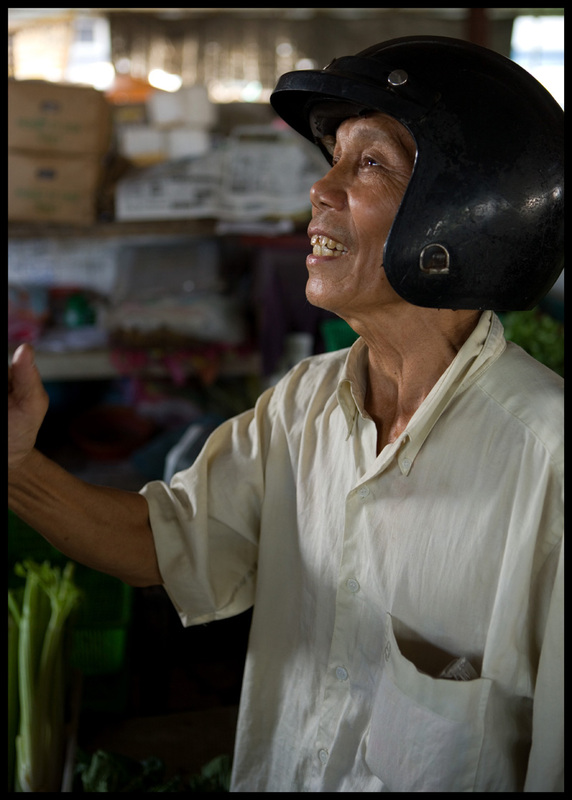 Our memories of those smiles - and of its mostly Hue-influenced specialties - carried us directly from hotel check-in to Hong Hanh's doorstep. We were happy to find that, other than the young staff's average height, little has changed over the past couple of years. The food's still fantastic, and the welcome is still warm. We were remembered, and even greeted with tears by Hong Hanh's proprietress. We got a little choked up ourselves. Then we set to work and started ordering. Hong Hanh's menu - which had been translated, with varying degrees of success, into English during our absence - is extensive: various noodles and banh cuon (rice flour 'pancakes' with various fillings) compete for attention with banh da (rice cracker) dishes, nem nuong Hue (sour fermented pork sausages with a chili kick), and a few miscellaneous snacks. 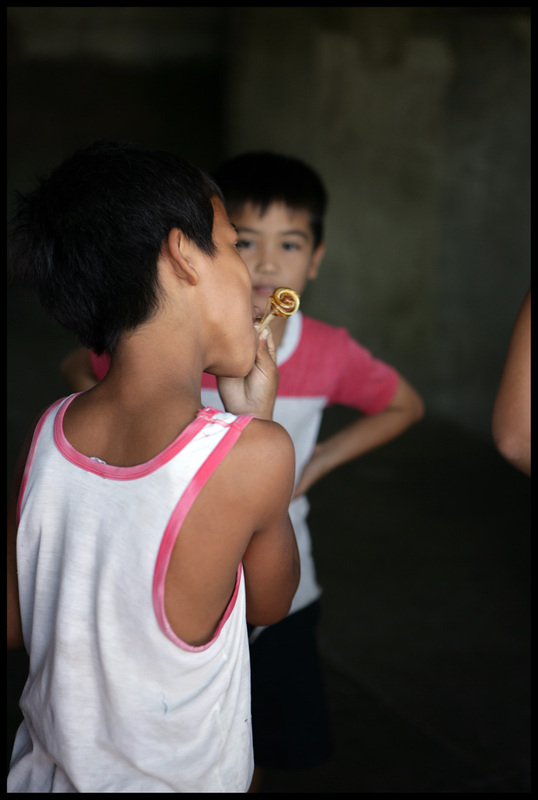 We stuck with our favorites and were gratified to find them as scrumptious as we remembered. 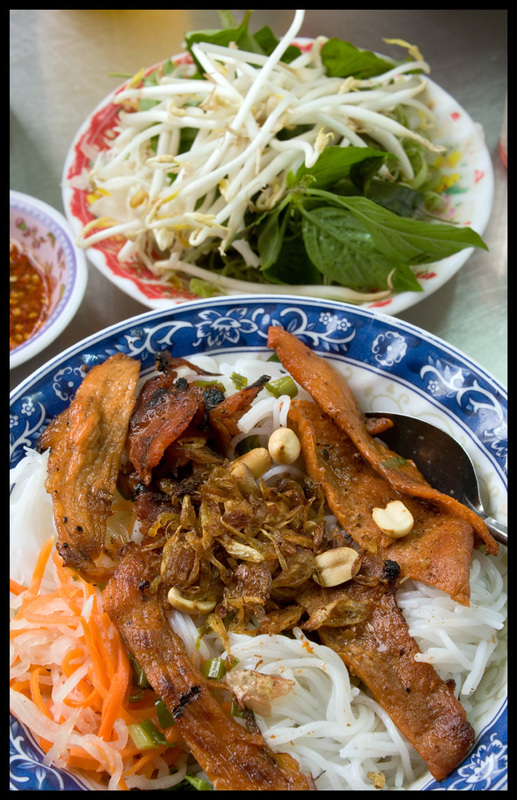 Hong Hanh's bun thit nuong is simply stellar: room-temperature bun (rice vermicelli) topped with grilled pork, carrot and daikon radish pickle, peanuts, and fried shallots. The pork in this version is sliced extra thin and lacquered with a sweet fish sauce and black pepper marinade, chewy and tender at the same time, and exceptionally smoky. Beneath the bun lies a generous mound of pickled vegetables and shredded herbs. 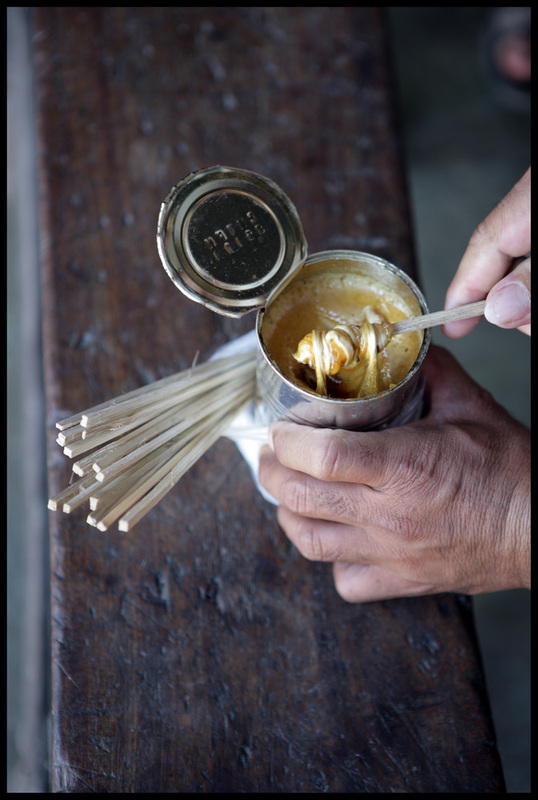 Banh can cua is thick, round tapioca starch noodles in a crab broth made viscous by the addition of tapioca flour. Hong Hanh's version boasts an exceptionally rich, complex broth courtesy of the addition of pork bones (one of which will end up in your bowl, sporting tender meat) and plenty of black pepper, and each serving is crowded with generous chunks of crab meat, crab and pork dumplings, a rectangle of pork blood, and a slice or two of daikon radish. Chinese deep-fried crullers do a good job of absorbing all the goodness the bowl has to offer, and the ubiquitous 'side salad' of bean sprouts and green leaves freshens things up a bit. 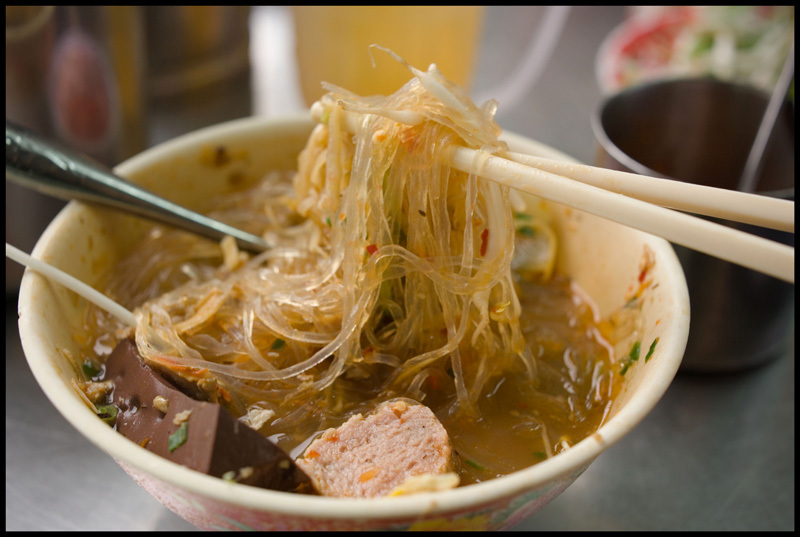 Less well-known than pho and bun are Vietnamese mien (bean starch noodles). 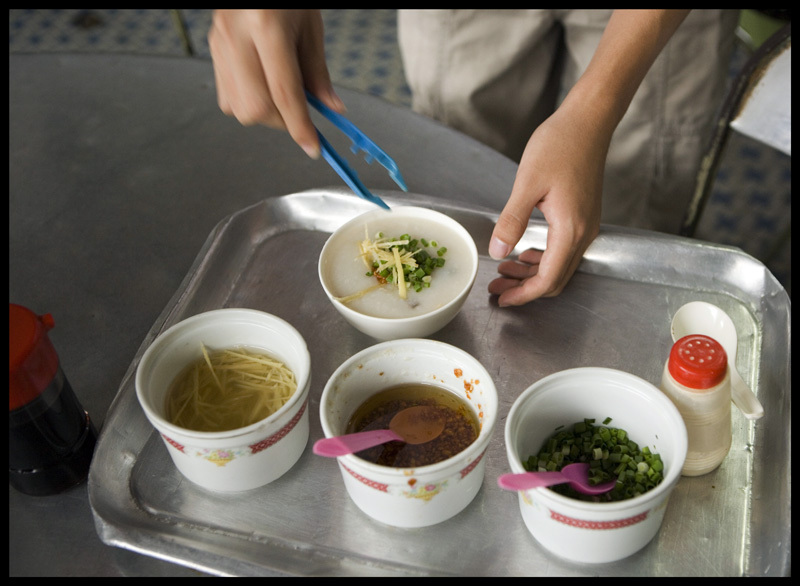 Hong Hanh's mien preparations include a fine mien cua nuoc leo, a delicious concoction of crab meat, crab balls, slivered bamboo, mushrooms, pork blood, and mien in a meaty-shellfishy broth. No meal at Hong Hanh is complete without at least one order of banh da (black sesame seed-studded rice cracker), here eaten with miniscule clams sauteed with copious amounts of lemongrass and chopped green onions and peppery polygonum (the dish is called banh da xuc hen; a version with snails - xuc oc - is also available). 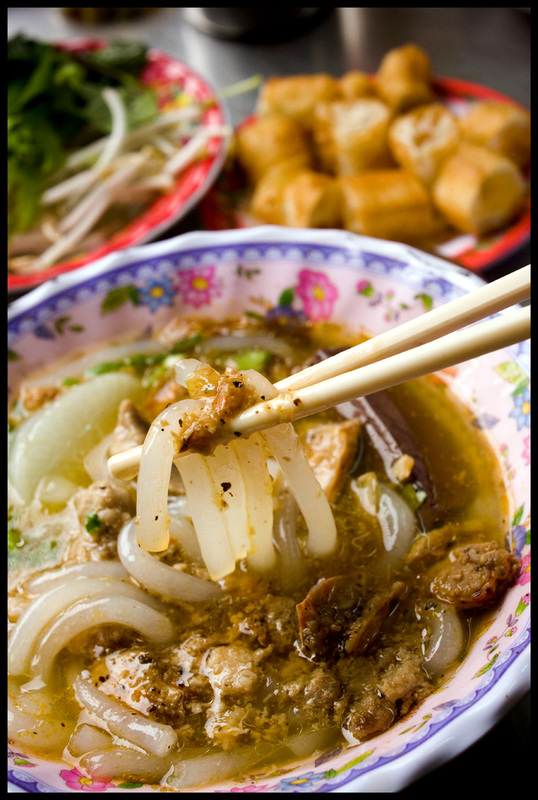 Served with peanuts and fresh polygonum on the side, this Hue specialty is just the sort of combination of textures, temperatures, and strong yet complementary flavors that Vietnamese cooks excel at. Sitting at our table-with-a-view, we had to marvel that food this ethereal could be churned out by Hong Hanh's color-coordinated staff (Friday is pink day for gals, brown day for guys) from such a cramped and basic 'kitchen' and prep area. It's dishes like this that drew us back week after week, sometimes days in a row, for two-plus years. Hong Hanh, 2nd floor 17A Nguyen Thi Minh Kai Street, Saigon. Morning to night, with a break between 2 and 3pm. That title is a bit of a test. We were curious as to how many would stick with this post after seeing the words 'rice porridge' up top. 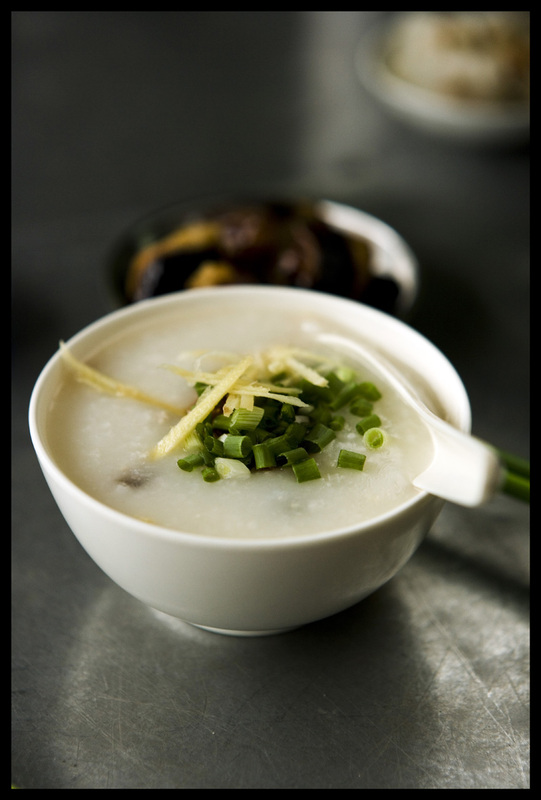 Known variously around the region as congee, zhou, khao tom, chao, bubur, and lugao, rice porridge may well be Asia's most underrated dish. Perhaps it's the unfortunate use of the word 'porridge' which, for most Westerners, conjures up images of gloppy oatmeal or lumpy creamed wheat. Maybe the untrained Western palate is to blame; for many of us rice is a bland, uninteresting side starch more suited to the task of sopping up sauce than serving as the focus of a meal. Whatever the reason(s), we find that fellow non-Asians are more likely to wrinkle their noses than lick their lips at the mention of any form of Asian rice porridge. 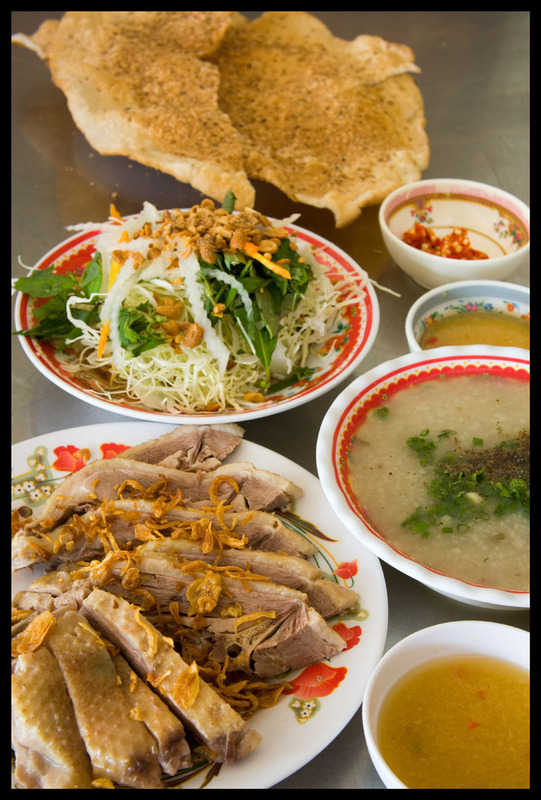 Chao (the Vietnamese term for rice porridge) skeptics in the Saigon vicinity, get yourself to Thanh Da district and prepare to be converted. Chao Vit Thanh Da's chao vit (duck rice porridge) is the Saigon dish that we most dreamed about after moving to Kuala Lumpur. 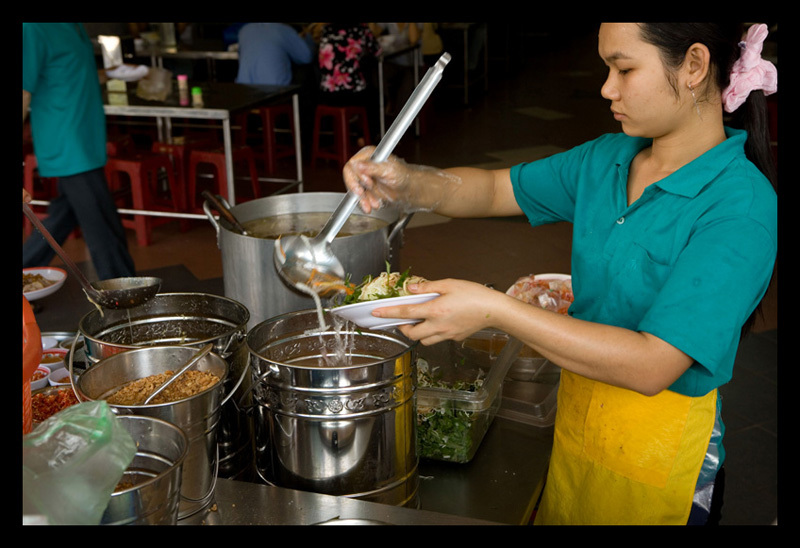 That's right - not pho or bun thit nuong, neither bun bo Hue nor banh xeo, but the specialty of this cavernous eatery with its utilitarian stainless steel tables and no-nonsense service. The place is so well-known that most of the city's taxi drivers (if they're locals) don't need an address to drop you on its doorstep. Chao vit is a divine sum of its glorious parts. There's the chao, a porridge of medium consistency made with broken rice and duck stock. Dished up from a huge kettle floating whole green onions and bits of duck liver on its surface, the chao is crowned with chopped scallion greens and a healthy mound of fragrant Vietnamese black pepper (among the best in the world). And there's the duck, steamed to velvety tenderness, chopped and topped with a flurry of crispy fried shallots. There's also the dipping sauce, an intoxicating sweet, sour, and lightly spicy blend of, we're told, fish sauce, garlic, fresh red chilies (extra on the side, if you ask), sugar, vinegar or lime juice, and loads of grated fresh ginger - a 'heaty' element to balance the duck's 'coolness'. (We swear we detect a hint of lemongrass as well.) 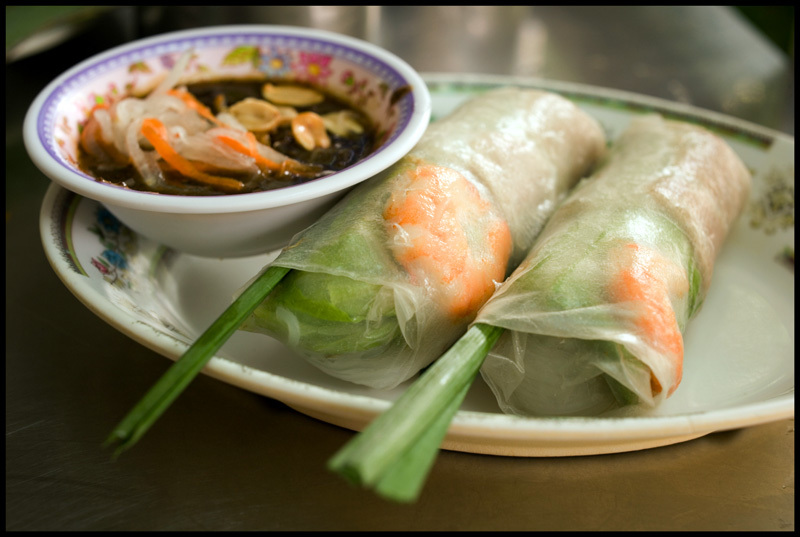 And, of course, there's the characteristically Vietnamese accompaniment of crunchy, cooling, fragrant fresh herbs and vegetables. Here, it's banana blossom, cabbage, basil, polygonum (known in Malaysia as daun kesom), daikon radish, and carrot, all doused with the sugared vinegar that the carrot and radish have been lightly pickled in (photo above) and sprinkled with peanuts. 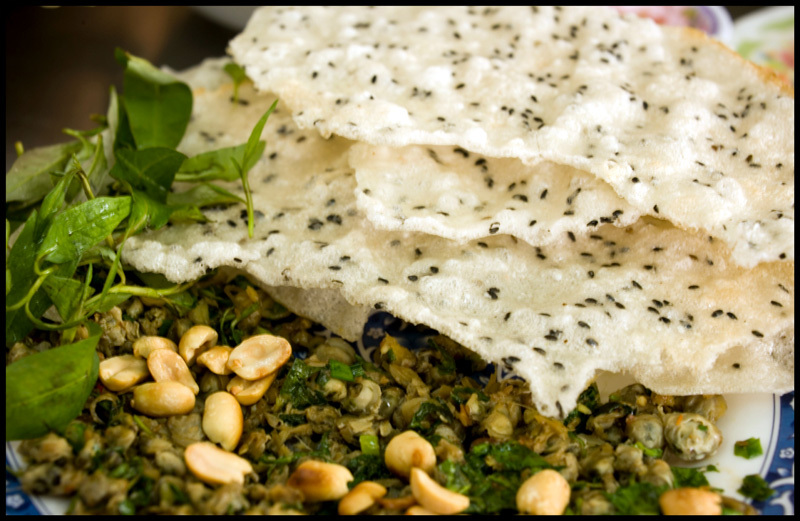 A must-have addition to this feast is one or two of the banh trang (hefty yet airy rice crackers coated on one side with sesame seeds) being grilled to one side of the shop. How best to tackle this dish is matter of personal preference, and one glance around Chao Vit Thanh Da shows there's no consensus on the matter. We find that this method works well: spoon a bit of chao into a small soup bowl. Add a chopstickful from the veggie plate. Grab a slice of duck, positioning it carefully between chopsticks so that it loses none of its fried shallot garnish, and dunk it in the dipping sauce. Maneuver duck to mouth and eat it over the small soup bowl. Working the duck off the bone will require some effort, but all the while duck a heavenly mixture of duck juice and dipping sauce will drip into veggie-crowned chao. Deposit any bits of duck bone on the table and turn full attention to the soup bowl. At this point, rice cracker might be broken up into the bowl (or perhaps it's been done before the duck was eaten, to give it time to go half-soft). Finish the bowl, and repeat. Every now and again mix things up a bit by enjoying both cracker and chopstickfuls of vegetables on their own, or dipped in sauce. When duck and veggies have been demolished (asking for another plate of vegetables is not out of the question) dump any remaining dipping sauce into the dregs at the bottom of the chao bowl. Then, slurp, enjoy, and marvel at the celestial combination of hot and cold, raw and cooked, crispy and soft, and bland and spicy that you've just devoured. And declare yourself a rice porridge devotee. Chao Vit Thanh Da, 118 Dong Binh Quoi, Thanh Da, Saigon. Tel 556-6640. Morning to evening. Look for the lineup of motorcycles parked out front. 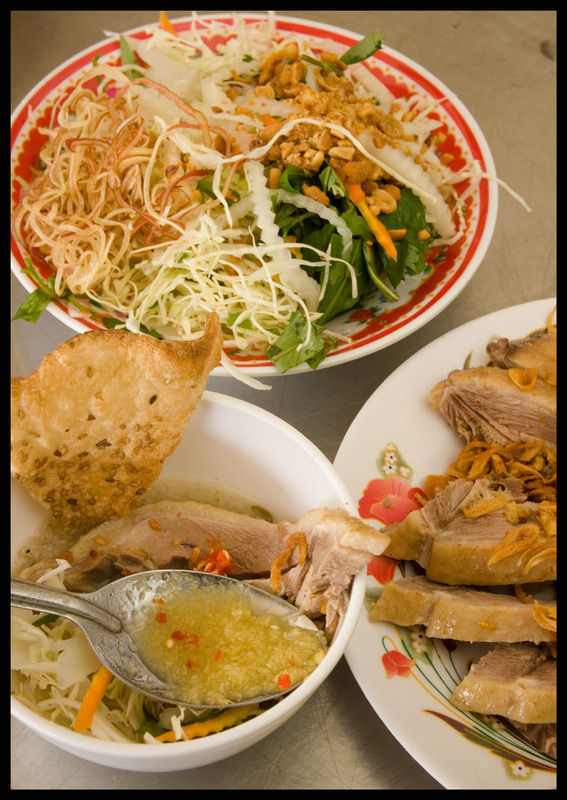 Ordering is simple - indicate the number of servings you'd like and ask for 'banh trang' to go with. 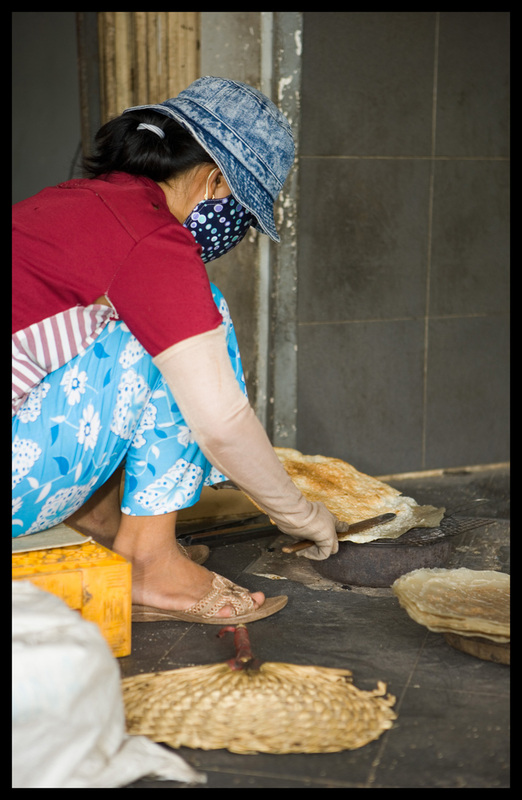 Note: Chao Vit Thanh Da is about 15-20 minutes by taxi from District 1. If you catch a cab at your hotel the doorman will no doubt discourage you ('Why go all that way? You can eat chao vit anywhere1') Trust us - the extra effort is worth it. 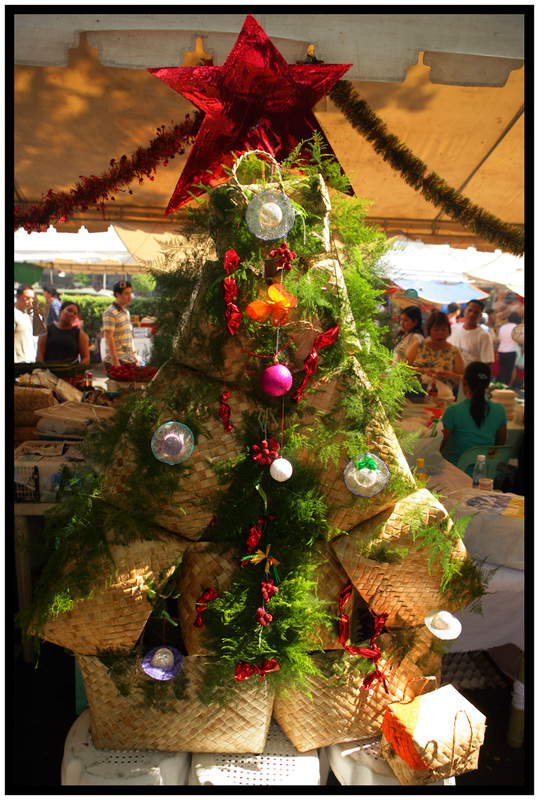 The Salcedo Community Market and the Provincial Government of Ilocos Norte will host an Ilocos food and crafts fair on December 15, 2007, showcasing the finest fresh produce, specialty food items, and indigenous crafts from the Ilocos region. The festival is the first time the Salcedo Community Market - Manila's most popular weekend market - will host a fair of regional Filipino specialty food items and traditional crafts. Specialty items on sale will include popular Ilocos food products such as garlic, shallots, cornick, linga (sesame seeds), miki, and tupig, basi (sugarcane wine), and sukang Iloco (sugarcane vinegar) - all of which will be on sale from 7am to 4pm. Other items on sale will include Ilocano delicacies such as bagnet, empanada, and longganiza (sausage). Among the non-food items are woven textiles; traditional Abel Iloko (woven cotton fabrics), in the form of blankets, runners, and napkins; and handcrafted baskets and mats that are known for their tight, intricate weaves. Keep any eye out also for dried tobacco leaves - a traditional household insect repellant and garden pesticide. The festival will also include a cooking demonstration of traditional Ilocos food by authentic cooks brought in specially for the event, as well as representatives from the province's hotels and resorts.